If you’ve been doing the same thing over and over with varying degrees of success, you might not see a reason or have an inclination to change anything. However in this competitive business landscape, if you aren’t being progressive, aggressive, and adapting with change, then you are going to get left behind while your competitors pass you. Nothing can be more evident than comparing the business landscape when it comes to a company's online presence. More and more consumers are researching and evaluating organizations online before they ever have to interact with them in person or over the phone. If your website and online presence don't stand out compared to your competitors, you are losing business. Here are my top 7 reasons you should consider a new website or enhance your current one if you haven't updated yours in over 5 years. 1. Professionalism - A new website sets the tone for the rest of your organization online. Having a website is mandatory these days and if you don't have a website you are typically not even considered in the purchasing process. By having a new professional website you are telling potential customers that you are a trusted, reputable organization. What often happens is that a potential customer gets the name of multiple restoration companies that perform the work they are looking for and they go online to evaluate those companies from one another and make a decision on who to call based on their website. The brand that looks the most polished, reputable, and professional typically gets the call. 2. Sell Your Story - People go to your website to learn more about your organization and what you're all about, tell them your story. 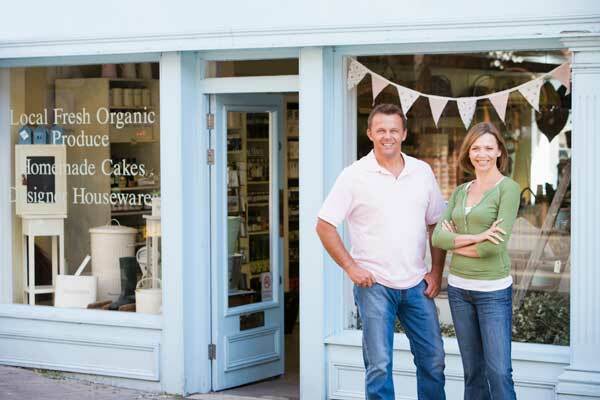 Are you a locally owned company? Are you a family owned company? How long have you been in business? What certifications do you have? Do you give back to the community and are you involved in the local non-profits? These can all be differentiators when a potential customer is trying to choose between two different restoration companies by reviewing their website. Someone who connects with your story will not only be inclined to call you but also may be committed to your services without receiving any other bids. Be sure to also post reviews & testimonials on your website. Statistics show that 84% of people trust online reviews as much as a personal recommendation. 3. Up/Cross Sell - How many times have you heard a customer say "I didn't know you did those services as well". Probably a lot. Your website is a great place for existing or future customers to see and read other services you offer that they may have not been aware of. One of the fastest ways to increase your bottom line as an owner is to sell to an existing audience that already gives you their money. Reason being is because you have already built that trust with them and the cost of acquiring an existing customer for a different service is a fraction of the cost than acquiring a new customer entirely. 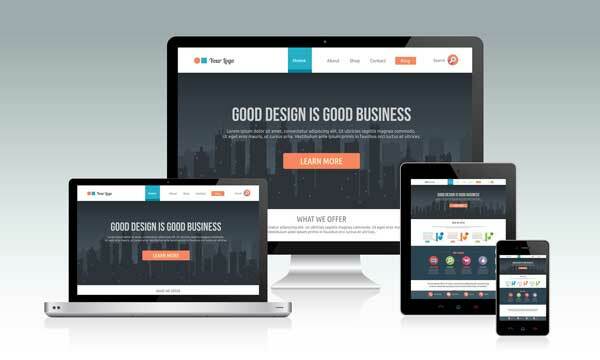 So your new website shouldn't only have your main services, but all the services you offer. Even if the services are close in comparison, you should still likely have pages/paragraphs clearly describing each service. 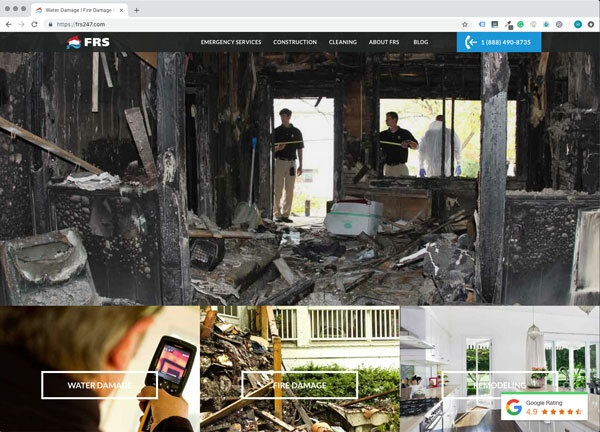 For example, many restoration companies don't add much or any information regarding flood damage cleanup to their site, they think they're covering that information on the water damage page - separate those services on different pages. 4. 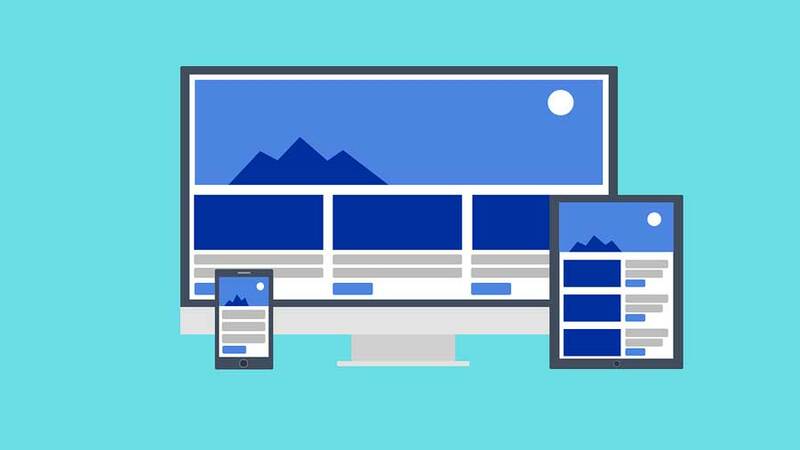 UX (User Experience) - Have you ever landed on a website and it wasn't mobile friendly, the site was slow, the buttons were too small, there was broken links, pop-ups, or you couldn't navigate easily on the site? What did you do? You probably left, right? Went to the next site that had a better user experience and purchased from them. The same thing happens when a potential customer is looking for water, fire, mold damage restoration companies. If your site isn't updated and clunky, say goodbye to that potential online customer calling you. 5. 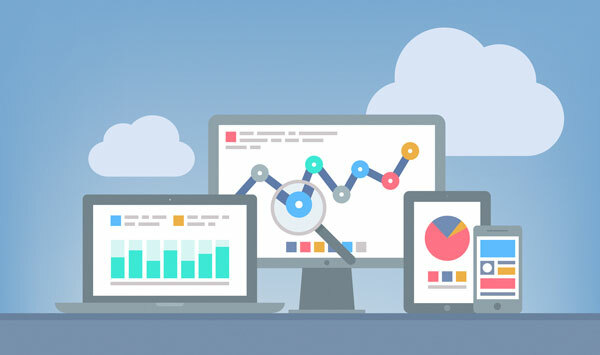 Tracking - You can track everything that happens on your website, everything from how many visitors, what age, what gender, location, interest, and their behaviors. Wouldn't it be nice to know if say 2/3 of your website visitors were females over the age of 40? Would that change how you spend your advertising dollars elsewhere? You can also track when contact forms are being submitted and when people are calling your restoration company from your website. Wouldn't it be helpful to track and record all phone calls (and ultimately sales) that your website is producing? With website tracking, we can begin to see what our true ROI is. 6. Sales Tool - One area that is underutilized in the restoration industry when it comes to a restoration website is using it as a sales tool. It's common for a restoration company to have one or more salespeople on staff who do outside sales. Typically they're targeting insurance agents, adjusters, property managers, plumbers, commercial facilities and more. What if you could post and update information on your website that is specific and helpful to the target audiences your salespeople are marketing? For example, you could have an events calendar with social events and continuing education classes where the target audience can register from. You can keep this page updated so they have to consistently come back each time they want to register. Or for your commercial clients, you could have an ERP platform where your commercial clients can log in through your website and store vital property information and contact information. Both of these examples provide additional value-added benefits for your sales people's target audience and makes them keep coming back to your website while keeping your restoration company top of mind. Another example to get people coming back to your website is to have a restoration blog where you provide helpful tips and DIY advice on restoration topics that homeowners will keep coming back for. Not only is this information a great tool for bringing people back to your site but it is also great information for you to share on your social media profiles and attract new people into your sales funnel. 7. Remarketing - Remarketing is where you re-target people who have visited your website through other channels of digital. Someone may have visited your website because they were really early in the sales process and didn't need your services yet, or don't think they did. There are two good ways we can try and capture this person for a potential future sale. The first would be through remarketing ads. Where we target them with advertisements as they visit other sites online. Because they visited your restoration website, they have a cookie left in their browser and we can set up Google Ads to market them while they surf the web. This will allow us to stay top of mind until they are ready to purchase the services in the future. Another great way is to capture their email while they are on your website. This can be done by providing a free ebook or just simply promising new helpful restoration tips from your blog, people always love helpful DIY information and would be more than willing to give you their email in return for a value-added benefit. Use these emails to not only provide DIY information, but also other company related information that might be of importance like new services. Most importantly though you are staying top of mind. Conclusion: One of the best features of a website is that it is always working for you day and night 24/7 at one low hosting rate to keep it up. All you need to do is make the investment to make it look good and act like a sales tool for you as described above and your website will be your best salesperson. 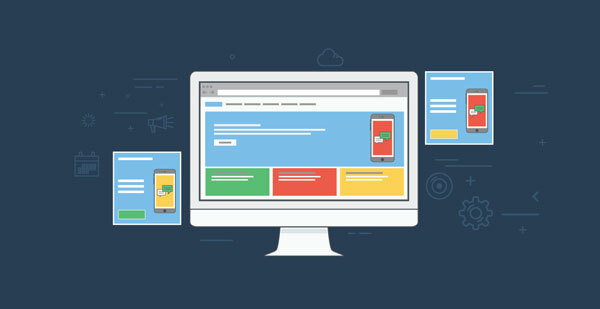 Having an outdated website in today's market could easily be viewed as a company without the experience and knowledge needed to get the job done, even though that may well not be the truth. Instill the confidence of your potential customers online by creating or updating your website today.